It’s hard to walk by a railway line in Britain and not see Buddleia. Along fences by the tracks and almost any patch of waste ground, you will notice the long, slender clumps of flowers, usually lilac but also blue, deeper purple or white, at the end of long, arching branches. Sprouting from seemingly every derelict building, it stakes an increasingly plausible claim for the title of Britain’s national flower. The plant can cause damage to buildings, such as crumbling brickwork – its tiny wind-blown seeds can germinate in decaying mortar. 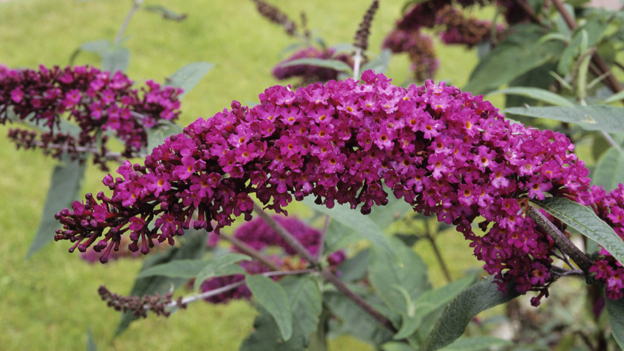 And the problems caused by Buddleia to the management of the rail network are described by the Non-Native Species Secretariat as “significant”. 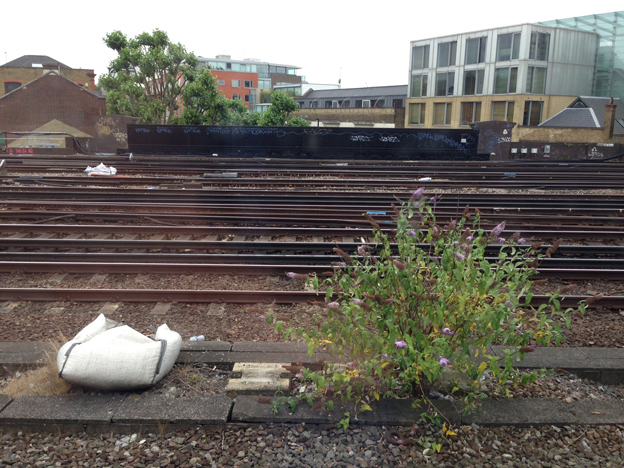 Buddleia on the tracks – and a lot of detail modelling challenges? 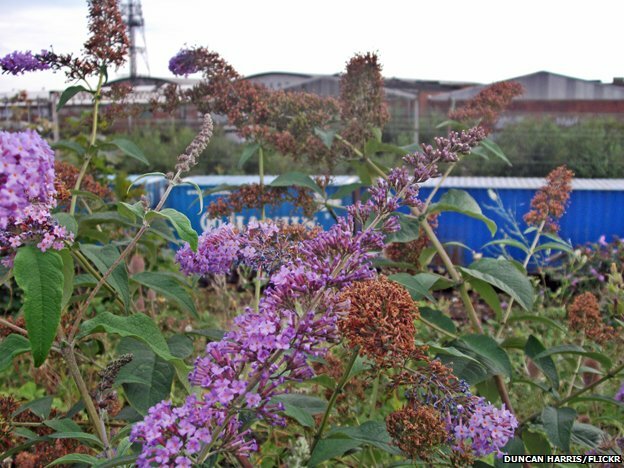 Network Rail says Buddleia has a habit of growing in walls where it can interfere with overhead power lines and obscure signals. While it does not cause “serious” problems such as blocking train lines, it does have a habit of popping up in “annoying places” where removing it takes up valuable time and resource. The company cuts down large Buddleia before removing or killing the stumps, sprays small Buddleia with herbicide, and uses weed-killing trains to keep the network clear, while staff use portable sprayers at stations. Another modelling challenge for ‘N’ gauge and modern image modelling? Looking at the photograph in the article, there’s a lot of detail for the modeller there apart from the Buddleia – track and ballast colours, trackside ‘litter’ and some graffiti. This entry was posted in Out and about, Prototype, Weird and wonderful and tagged prototype, railway. Bookmark the permalink. Good reason for not modelling today’s railways, I have enough rouble cutting my grass let alone modelling buddleia bushes! I don’t think I’ve ever seen it modelled. Anyone out there had a go?? I know onng, cannot get it to grow in the garden, perhaps I should put a whole load of spent ballast down!